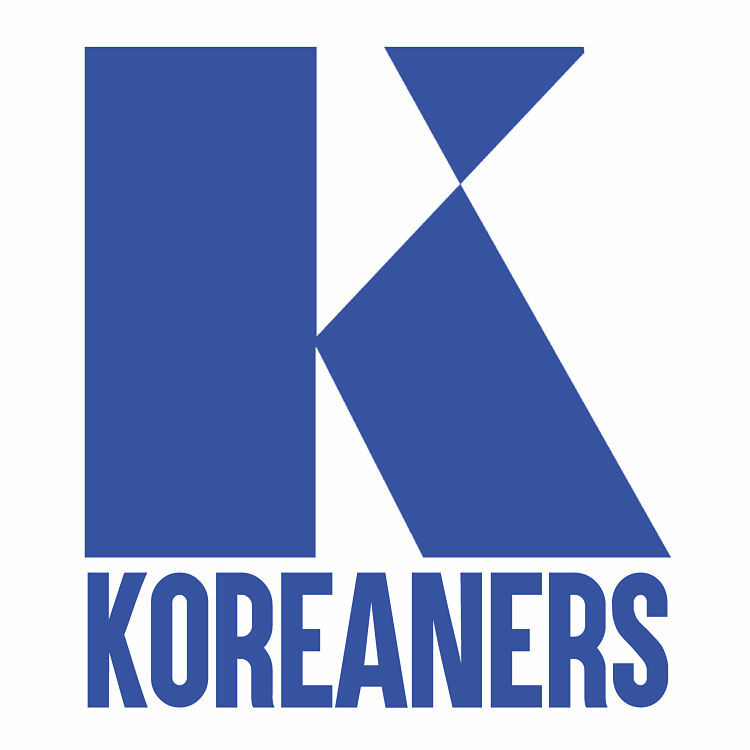 Koreaners.com is a startup company that provides products and services to the growing expat community in South Korea. Many expats are Americans that decide to teach English. 180,000 people have registered English as their first language. Company products include: job postings, resume database, immigration information, tour guide matching, community forums, event marketing, consulting, podcast and blog. Paramount to Koreaners is the branding strategy as the premiere source of information, services, and products to expats in Korea. Koreaners provided a unique opportunity due to its transient, but growing target market, a well-connected founder, and the technologically savvy but economically weak competition. There are 136,000+ Americans registered as non-tourists in South Korea and 30,000 are American military. This American demographic provides a unique challenge and opportunity because although the number of expats is growing, they are transient and nomadic. 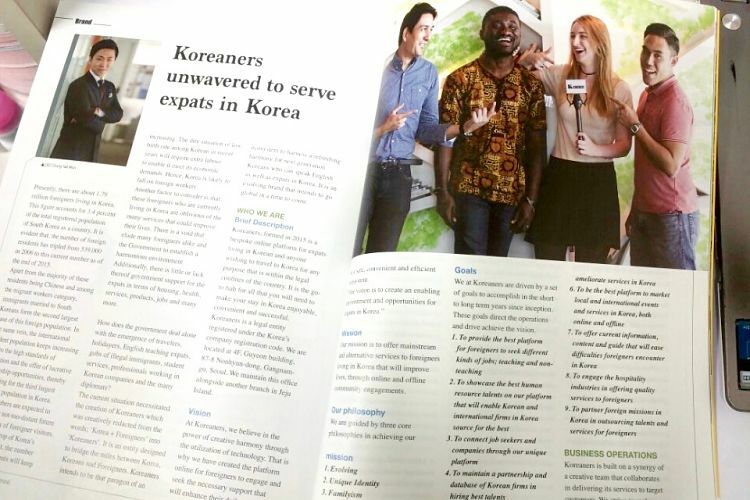 This means few expats live in Korea long enough to be fluent in the language to help assist new expats. Korean is a difficult language to learn, so many expats rely on English translated websites, which are not as numerous as they are the USA. Web companies with unique business models can be designed to address the needs of this demographic. 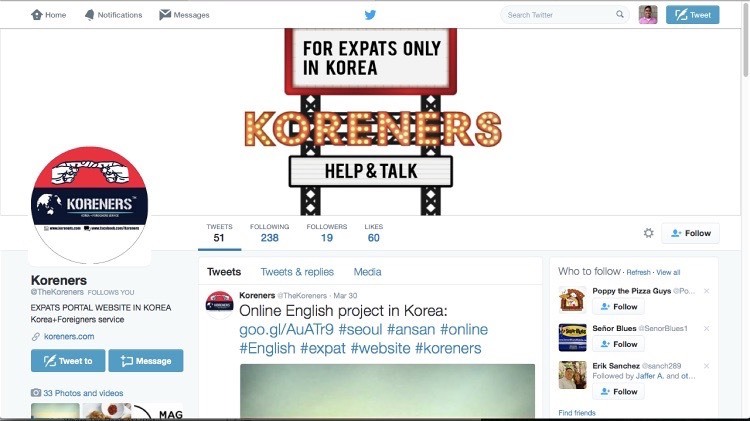 Koreaners is positioning itself to be the go to source for expat information, products, and services. 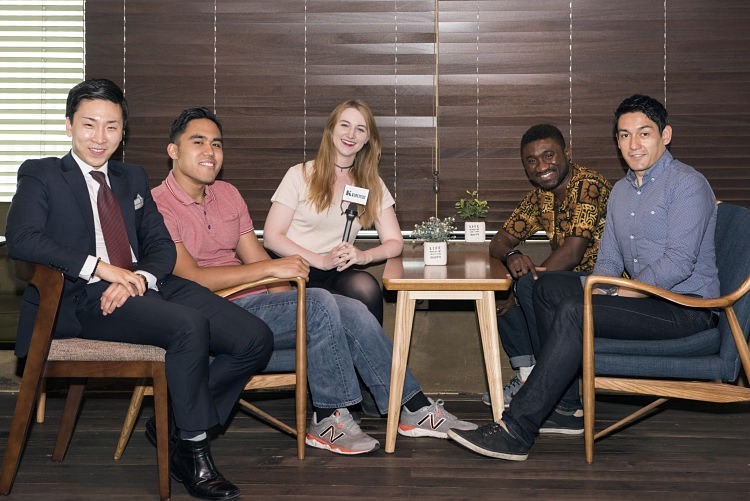 Most expat businesses in Korea are started by expats without deep connections to the culture or country. This disconnect exposes the inability of expat founders to navigate legal caveats or effectively expand influence in the business community. Without deep connections, the forging of key business partnerships becomes a hurdle few can overcome. Competitors exist and are profitable, which means there is an opportunity to siphon much of the revenue streams. Competitors are not scaling fast enough and are leaving an opening for more agile startups to overtake market control. Before I started with Koreaners I had some first hand knowledge regarding its status. This information allowed me to decide that the project was at an early enough point where I could make a solid impact. Host the Language exchange workshop — by 10th Feb — building the community to gain an insight from expats about their needs and Koreners. Aiming at launch the expats pubs and coffee shop for expats in near future. 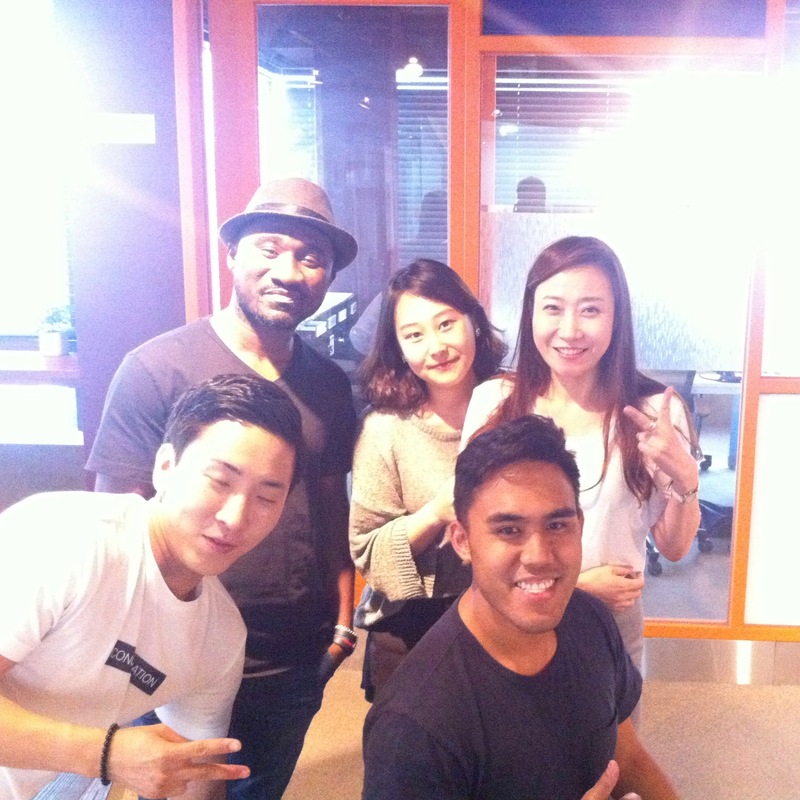 Setting up the lineup Team for Tourism and Travel application for expats in Korea. Theme and details are already designated. So To accelerate the business Koreners Tourism and Travelling App Team is attending the Competition hosted by the government in April to get funds of 1billion won. Koreners needs to gain insights and more feedback from expats point of view. Wide range of interaction is required from various activities and communities hosted by expats -R/D more information for expats and input those info into the site. Founder, Brian Chung and I in our first team photo. 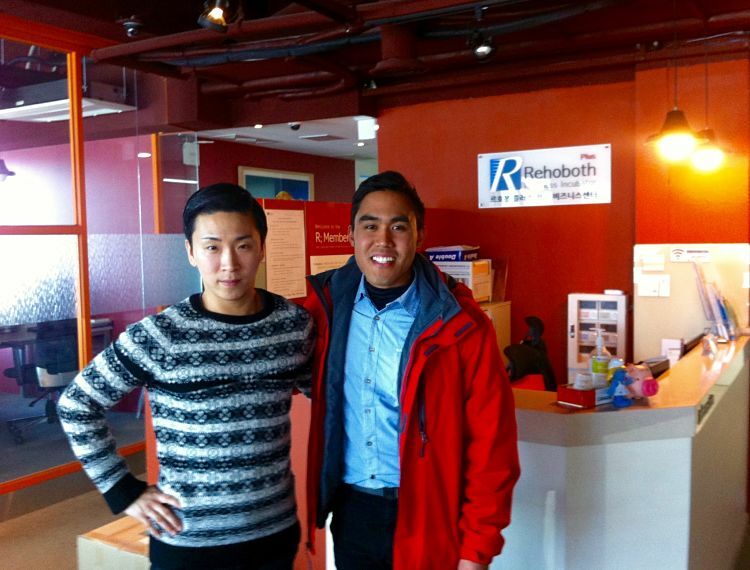 Koreaners is currently located in the Rehoboth Startup Incubator in Gangnam, South Korea. I knew I could make a deep impact in a short amount of time. The challenges of being on the ground floor of this startup were poor web design, undefined brand, lack of clear product offering, and disconnect with the technology team. Initially the website was not beautiful. This was due to several issues. Regardless, the website was characterized as Web 1.0. It looked very static and did not update content enough to generate return visits. Navigation and user interface was not up to par with startup standards that rely on beautiful, careful design. Because the website is the main storefront of the business it’s important that it conveys a message that it is a reputable and trustworthy business. 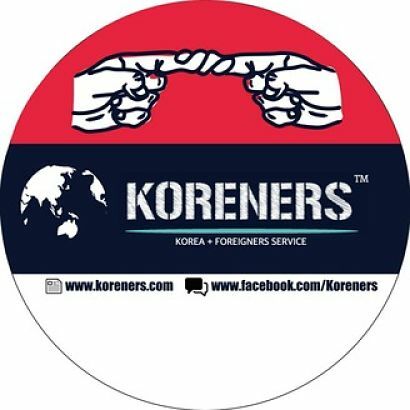 There were several variations of a Koreaners (Koreners) logo and slogan. Each version was strewn across the Internet. If a user or potential customer were to come across one logo they would be hard pressed to associate the company with another logo. It’s like have multiple faces for the same person. Without a clearly defined and singular logo, customers are unable to hold a consistent view of the brand. 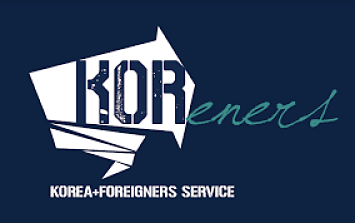 This logo has a big “KOR” inside an arrow and “enters” in a different font adjacent to it. This logo has a globe with Korea centered in the middle. This logo was used for circular profile pictures such as spreaker.com (podcast) or youtube.com (testimonials). The fingers twisted around each other were meant to represent friendship. The colors are red, dark blue, teal and white. The colors do not look great together. In the beginning, much of the direction of the online marketing was in disarray. The logo was never the same design, never the same color, and never the same shape. 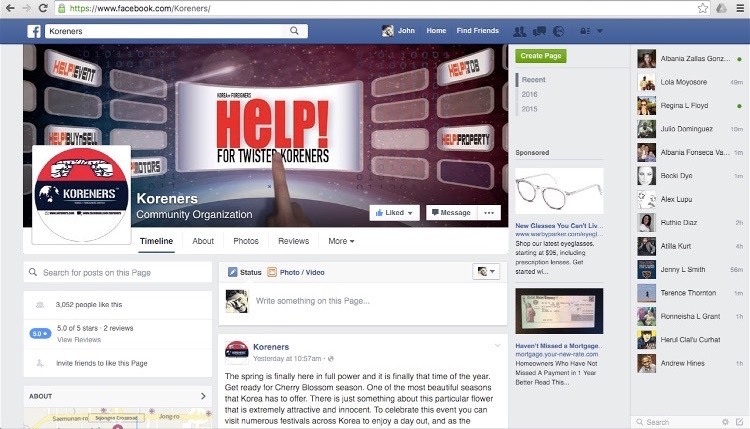 The name of the brand from February 2016 to June 2016 was actually Koreners, which often got confused with the word “coroners.” The brand was also self-centered. The pictures posted to the Facebook page were always about what the company did, what features the company had, and why the company was better. All we did was talk about us and that needed to change. We needed to focus on the customer and get the social part down in social media. Facebook page 1.0. This page had the finger twist logo, which is hard to understand in a small profile picture thumbnail. The help banner is confusing because it says “Help for twitter foreigners.” Not even going there. 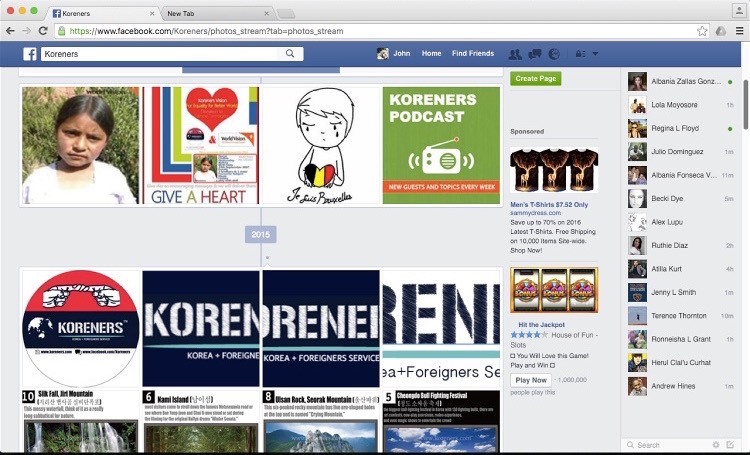 The majority of Facebook page photos posted were of the Koreners logo. This appears self-centered and may have attributed to the lack of community engagement. Twitter had the finger twist logo and banner we did not use anywhere else. 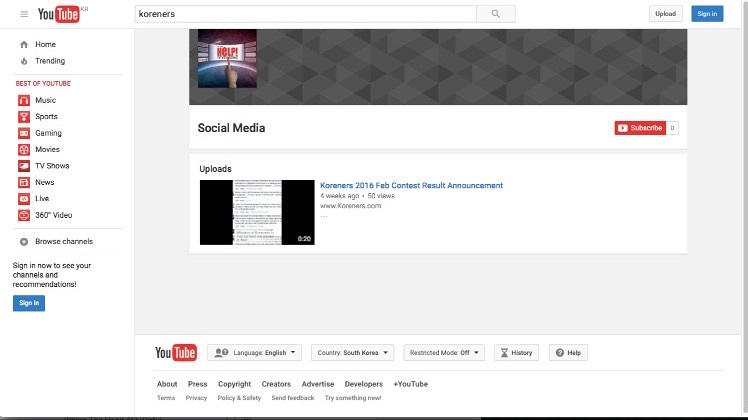 Youtube had the Help banner. Spreaker podcast had the nger twist logo. Branding is what defines a company and distinguishes it from its competitors. If you’re a startup your brand is unknown, unproven, or inexperienced. Koreaners had the trifecta and its name at the time (Koreners). 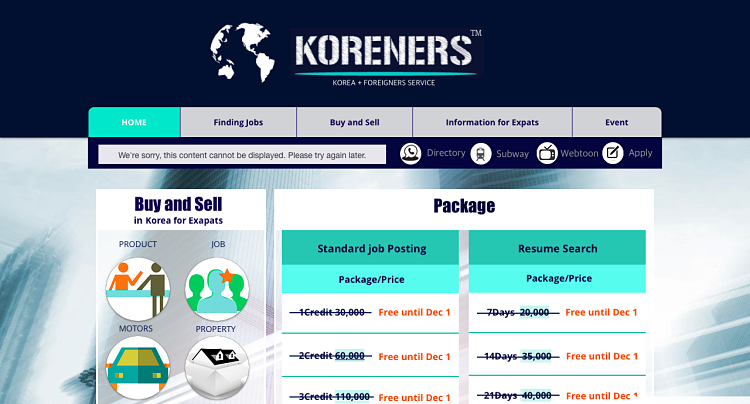 The goal of Koreaners is to provide products and services to all the expats that are living or going to live in Korea. Jokingly, the slogan was for a time “Koreaners, we do everything for every expat.” It’s difficult to distinguish why your products or services are better than your competitors when you cannot back that up well. We were saying that we were doing everything better, but intuitively that’s impossible. No one can be great at doing everything for everyone. Much of the strategy for startups is gleaned from the Lean Startup, which was developed by Steve Blank (later Eric Ries). It’s difficult to create a MVP (Minimum Viable Product) when your goal is to not create an MVP. I would later fully understand that this goal was due to the unique culture of Korean business. The business strategy and marketing team were physically separated from the technology team. The two teams were not even in the same building. If there was a feature or user interface issue there was a long delay before the issue would reach the technology team. Initially I considered heavily one of my important views on startups. That view is: you either innovate on technology, marketing, or price. Because the core team had a stronger background in business strategy and the technology team was not big or fast, I decided we should innovate on our marketing. We would have to make a conscious effort to know that the website couldn’t get much better and that it may always have a poor user interface. Many businesses are able to thrive without the latest technology embedded into their online storefront. We would establish our core value in our ability to market incredibly well. This would require us to throw most of our resources to marketing and branding strategy. I ignored innovating on price because with a strong brand you can afford to charge a premium. The next four months would be characterized with many one on one meetings with different team members to determine the company’s direction and strengths. I took the initiative and scheduled a day to outline the issues with our online brand. I created a Power Point presentation and painstakingly detailed where our message was inconsistent or too self-centered. I emphasized the importance that we focus on the customer. We needed to have a defined logo, a defined color and defined font. The social media voice I proposed was that of a friend giving fun and informative advice, but not sarcastic or immature. We needed a slogan. What was important to me was that this meeting not be one-sided. What was important to me was that we began a dialogue so we as a team could get behind a common strategy. I made that clear in the beginning and allowed others to take the floor when needed. 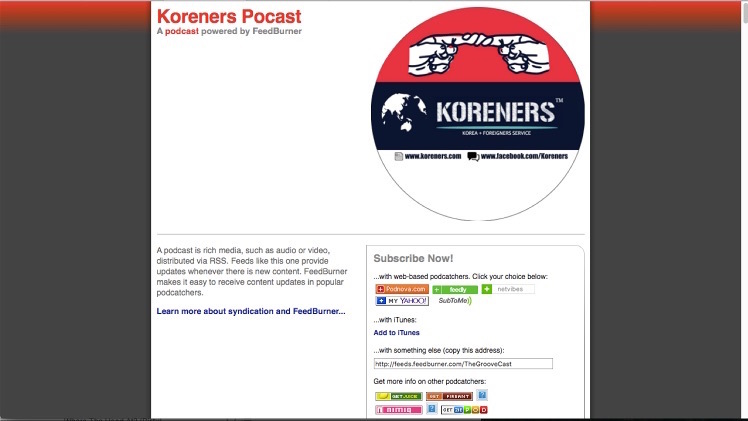 The Final K. Company was still named Koreners. A battle was won, but the war was far from over. My effort paid off because after that meeting we all agreed on a singular logo for profile pictures, to focus on the customer and less on ourselves, the need to define what we do, a slogan, and a strategy to drive all our social media accounts to the website. Additionally, this meeting sparked a culture of collective brainstorming. It was the first time we all were in the same room to practice brainstorming together in a time controlled and collaborative environment. This would become an invaluable practice that we would repeat several times in the coming months. The board room of Rehoboth with a white board. 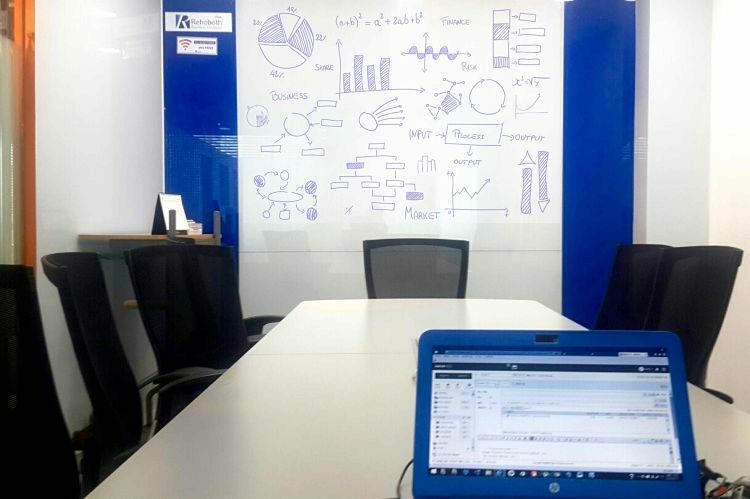 The canvas of brainstorming. One session was to consider our branding and who our customer was. I lead an exercise using the white board where we eliminated certain expats. We eliminated English as a second language expats, which were a substantial amount of migrant labor workers. We also eliminated Russian expats. In the end we concluded that our main customers were either tourists or American expats. The question then became what do they need? I then drew a diagram of Maslow’s Hierarchy of needs and asked questions. I asked, “Does our customer have a need to survive?” Of course.” Do they need food?” Yes. “Do they need love?” Yes. But one of those two, food or love is more immediate and more important. We were able to successfully choose a campaign strategy that focused on food by using this hierarchy. I introduced regularly scheduled posts: Marketing Monday, Opportunity Tuesday, How to Wednesday, Travel Thursday, and Five Things to do Friday. This resulted in our most marketable posts on Facebook with the most engagement and shares. Each week our numbers grew and in one month doubled traffic and is still growing. I would help grow the team as well as grow revenue. Because I was employee #2, it was important that the team grow. I interviewed every new member and based on our needs created recommendations. We grew from a team of three to a team of seven and many contractors for content. In the final weeks of my tenure with Koreaners the company was in a position to generate revenue. Revenue increased 400% and is still growing. Most substantially, Facebook page likes increased by over 133%. This was important because this was our key metric for this early stage of the launch. The strategy was to shift more into bringing these fans over to the website, but only after they were more familiar with us on their terms through social media. We increased our presence in print media as well. See additional article here. G20 is one of the major magazines for business and news in Gangnam, Seoul, South Korea. On my last day. Williams, the two receptionist ladies, Brian, and myself. On my last day the team all wrote me kind letters. I am writing this letter to appreciate all your kind & effort & passion into the work for the last few months. I believe you are such an amazing person with many strong ability in many areas as well… it has been great honor to work with you and I am really looking forward to see you again! Personally, it was such an honor to have worked with you in the Koreaners Team. You have such a suave demeanor that I truly admired. I wanna thank you for allowing us to tap into your intellect. You’ve got such fine brains that any organization will find difficult to reject. Such an asset you’ve been to building this brand. I hope that, we shall continually keep in touch and collaborate on some projects in the future. Keep up with your smiles. We are a family for life. I wish you all the best and I hope you find a way to come back to Korea. To date, this has been one of my more fulfilling positions. I was able to take a leadership role and design the strategy that would set up the business for growth. I considered three paths: innovation in technology, innovation in marketing, or innovation in price. I chose innovation in marketing. This decision was made because of my assessment of the team’s capable background in business. Over the next four months I would lead one on one meetings and team meetings to develop and drive the strategy. I lead team meetings to exploit the company’s core competency (marketing), a strategy to drive growth through content and viral marketing, the brand voice, and the brand identity. Because of my work we were able to gain incredible recognition with our target market and have the phones ringing for more of our services, thus generating revenue growth of 400% and growing. I implemented a regularly schedule blogging strategy as well as trained the bloggers on their writing. The result was an increase in unique page visits from numbers in the hundreds to numbers in the thousands per month. I implemented collaborative team meetings that fostered team building and idea generation. This resulted in a more cohesive team that could count on one another to deliver their best work. I implemented analytics analysis to gain insight into what brought about our waves of increased visitors. This resulted in the emphasis on blogging, videos, and writing for specific audiences. Those audiences were namely tourist and expats (distinguishable from K-pop fans or Korean migrant workers). I believe the team was a unique mix of business and art that allowed for a synergy of ideas. What made the company even more satisfying was the open communication between each team member. We were all allowed to express opinions and trust that we wouldn’t squash anyone’s voice. People work very hard in Korea. The standard is to work overtime every day. Although contracts may explicitly state working hours are from from 9am to 5pm, it is common place that employees do not punch out until 9pm or later. They are not compensated extra for the overtime. Although our company didn’t require this of us, I felt the sense of urgency that Korean culture imparts and it instilled a sense of competitiveness and drive in me. I always think now that in order to stay competitive, you got to keep up with Korea! I walk away knowing I have a few good friends in a country where a few good friends are rare. I relish at the thought of future business partnerships in between Korea and the USA.